Professor of Experimental Rheumatology at University College London and Consultant Rheumatologist at the Centre for Rheumatology, Royal Free Hospital, London. He studied medicine at Guy’s Hospital in London, where he qualified with distinction and later obtained a PhD from University College London. Following a Wellcome Trust Advanced Fellowship in molecular genetics at the M.D. Anderson Cancer Center in Houston, USA, he was appointed as a senior lecturer at UCL and consultant in rheumatology at the Royal Free Hospital in 2000, and promoted to professor in 2006. Professor Denton’s laboratory research has focused on mediators of vasculopathy and fibrosis in connective tissue disease and preclinical models. He leads the large clinical programme in scleroderma at the Royal Free Hospital and co-ordinates multidisciplinary care for more than 1200 patients. A large specialist pulmonary hypertension centre is incorporated within the connective tissue diseases service and co-ordinates multi-disciplinary care for more than 400 patients with connective tissue disease associated pulmonary hypertension. The scleroderma and pulmonary hypertension centres have played a prominent role in many recent clinical studies in scleroderma, Raynaud’s phenomenon and connective tissue disease associated pulmonary hypertension. He leads the UK Scleroderma Study Group (UKSSG), is Treasurer of EUSTAR (Eular Scleroderma Trials and Research group) and past-President of the Scleroderma Clinical Trials Consortium (SCTC). 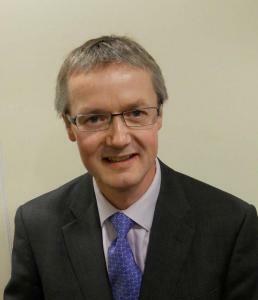 He is chair-elect of the Heberden Committee of the British Society for Rheumatology (BSR) and has published extensively on laboratory and clinical aspects of connective tissue disease and pulmonary hypertension.